Seven revealing stories of entrepreneurs who tried to incorporate their faith into their business. The outcome? Atif Karamat’s Naafey employs about 15 people and they have several high-value clients. But this GIK-qualified engineer, who has an MSc from the US, hasn’t started just another management consultancy. 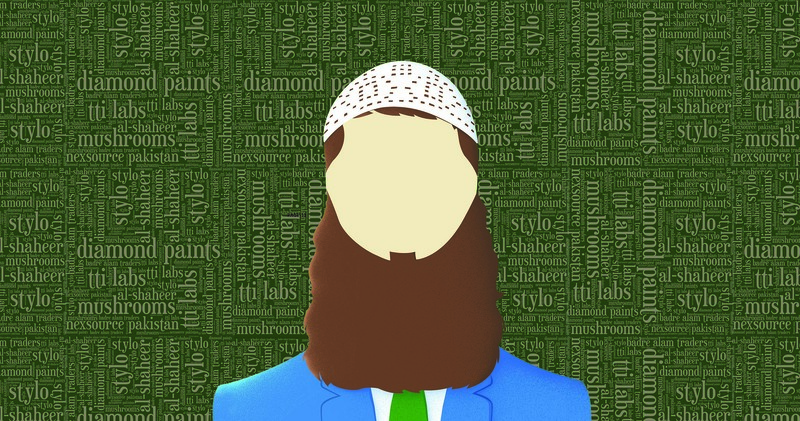 He is servicing a small but ever growing niche of religious businessmen who need muftis to not only tell them which aspects of their outfits are un-Islamic but also to suggest (or even devise) Sharia-compliant alternatives as well. With more and more businessmen seeking out business practices that are truly in line with their religious beliefs, demand for Naafey is only set to grow. If I were to ask you to picture a Sharia-compliant business, chances are that you would immediately think of Islamic financial products that circumvent interest. Actually, there is much more to Sharia-compliance than the proscription of interest. Sure, you might say; that no one should be dealt with unfairly and that the company should be moral in its dealings? Well, yes, but those are considerations for good people everywhere, whether they are formally religious or not. Formal Sharia-compliance goes beyond the simple rubric of do-the-right-thing. It ends up in areas that one hadn’t really thought of. For instance, for businesses involved in some form of arbitrage, the muftis have decreed that a company cannot sell products that it does not yet own. The profile of the seven businesses in this issue make for some uncomfortable reading. For instance, when Mushrooms (a kids clothing brand) decided, at the behest of their mufti, to take out images of cartoons from its apparel for children, it was endangering its principal product. Still, they could hope against hope that parents would still buy their children their product, even without the cartoons. But when it decided, for its school uniforms division, to not make shirt-and-trouser uniforms for children ages 13 and above, it actually cut off a significant revenue source in one quick, painful decision. Ouch. On the HR front, some of these businesses “encourage” a particular dress code for its employees while others do make it mandatory. Does that make these stifling places to work? Maybe. But on the flipside, some of these companies have been advised not to impose penalties on tardiness. So employees are deducted their salaries only for the minutes (yes, minutes!) that they are late instead of some sort of arbitrary three-lates-mean-one-day-off rule. Furthermore, if the employees were actually religiously inclined themselves, morale at the office could be downright magical! On the revenue front, these entrepreneurs all reported higher levels of satisfaction, even the ones who were not doing all too well financially. You can’t really put a price tag on peace of mind, yes. But on the business front, there can be no denying that it will take a ruthless edge away from a business when it is looking for more markets. To that, they have an answer: our rizq is written; if anything, it is the constant chasing down of new business leads that is a waste of time. One might disagree with that approach but it is certainly an internally consistent one. There was a massive change in Mushrooms product strategy, for which he has an elaborate explanation. Not only did he change the primary product designs but also gradually eliminated a product line altogether. “Our main product was kids’ clothes for which we used Disney cartoons. In 2001-02, a mufti saab told me that cartoons were prohibited, so I decided to stop printing them,” said Shehzad. It could have dealt a mortal blow to his business but he decided to go along. Years later, now he is happy to have made that choice because he is not just solvent but prospering. His second product line, school uniforms, he was told that ‘pant and shirt’ were allowed yet he thought that past a certain age this was not an appropriate dress for his own children. This was more than just a business decision for him. “When I saw the environment my children were living in, I felt that it was not suitable for them. I decided to start rectifying that from their clothing. But then the dilemma for me was that I was selling the same clothes to others that I did not want my own children to wear,” says Shehzad. Another decision not to use pictures in marketing campaigns also came as a consequence. The human resource policy was also put through a massive overhaul. He informed that initially the rules of his company were strict and late comers who even missed the reporting time by a minute were penalised. Those who took time off without prior notice had their salaries deducted for the off time and on top of it were financially penalised. He also altered the rules of employment, segregating men’s and women’s departments. After receiving a complaint from a mosque’s imam in the area where one of his shops is located regarding two of his employees, a male sales manager and a salesgirl and after investigating into the case, now the company has packing, quality checking, threading departments exclusively for women and the rest for the men. Women are also required to come to work in burqa which they can take off once inside their working area but they also need to be dressed modestly in case a male colleague or an outsider needs to enter the area. The salesgirls’ job, however, has been completely eliminated, save one shop in Hyderabad where the salesman was removed instead and the salesgirl was kept on because she could not afford the means to earn a livelihood in any other way. He shared his business experience from the difficult days as well saying “Me and my partner used to worry a lot [when we were not doing well]. So we decided to start giving alms. We first thought to take out a proportion from our profits but he said that we weren’t making any profits, so how were we going to do that. But then we decided that we do other expenses too, irrespective of our revenues. So we started taking out a proportion from our sales and we discussed it with our Tableegh partners back then which provided us benefits including the fact that our company’s health also improved. On his way to interview Nazir Ahmed Vaid, Chairman of Nexsource Pakistan, this correspondent is guided by the security to the second floor of Continental Trade Center, a commercial plaza located in the heart of Clifton. After a brief wait at the company’s headquarter, a 1400-square-foot facility, this scribe enters the chairman’s office. Two wooden shelves on the left – displaying Pakistan flag along with numerous awards and mementos from events and conferences he addressed as speaker over the years – lead him to the chairman, who is about to finish an ongoing meeting. As this correspondent waits for the interview, a shiny scimitar, Vaid received as a gift 10 years ago, overlooks an empty chair, fully covered by a waistcoat and dozens of calling cards: souvenirs from business events and conferences he addressed over the years, as one gets to learn later. Clad in white shalwar kameez, the 56-year-old describes his business to be a Sharia-compliant, social enterprise as he responds to the first question. What started in 1975 as a courier service has now grown into a large enterprise with Rs1 billion in annual turnover, 156 employees, and offices in Karachi, Lahore and Islamabad. The company specialises in Business Process Outsourcing but has over the years ventured into consulting, import and sale of select vegetables, real estate, microfinance, and now application-based ride-hailing services and electronic media. In a candid talk with Profit, Vaid, who also sits on the board of trustees for many mosques and seminaries (madaris) including the famous Baitussalam Welfare Trust in DHA Phase IV, Karachi speaks about his experiences as the head of a Sharia-compliant business, influences his religion has over him, the challenges he faces and the benefits that have come his way. Their upcoming ride-hailing app, E-Ride may well explain this philosophy. The company got Rs15 billion finance [Ijara] arranged through an Islamic bank for this program, which will bring 15,000 cars on roads in three years. “Through this app, we are going to help senior citizens, widows and orphans, who have some money in their savings accounts, earn a handsome return on their investment compared to what they can get from conventional banks,” the Chairman said. These people will give down payment of Rs300,000 for their vehicles, which will be their equity and we will take care of the rest. Based on their feasibility study, the venture will offer a 33 percent annual return on investment (RoI) to the aforesaid people. In three years, the RoI number will be almost 250 percent after they become the owner of their cars. “E-Ride is 100 per cent sharia compliant, offers solution to a social problem, and has blessings attached to it: for example, a woman who gets Rs15,000 a year on Rs300,000, will get Rs100,000 a year on the same amount and becomes the owner of the property as well,” Vaid says. E-Ride is only one venture explaining Nexsource’s philosophy but the company is doing some other projects that adhere to the same principles. Another major program they are doing is providing interest-free loans to the marginalised segment of our society. Their microfinance venture, Akhuwat provides the economically poor with interest-free loans so that they may acquire a self-sustaining livelihood. The funds collected for Akhuwat USA are used solely for the purpose of disbursing interest-free loans to the unprivileged in Pakistan, the program’s website says. “We believe that access to capital is a much-needed step towards poverty alleviation in Pakistan,” it adds. They are also trying to raise funds for their upcoming project, Akhuwat University, that will provide “state-of-the-art but affordable” education to the poor. The program provides loans for marriage, education, health, housing, and emergencies but the most famous is family enterprise loan (from Rs10,000 to Rs30,000), which comprises 91 percent of Akhuwat loan portfolio. It is given for setting up a new business or expanding existing one to help borrower secure a sustainable livelihood. 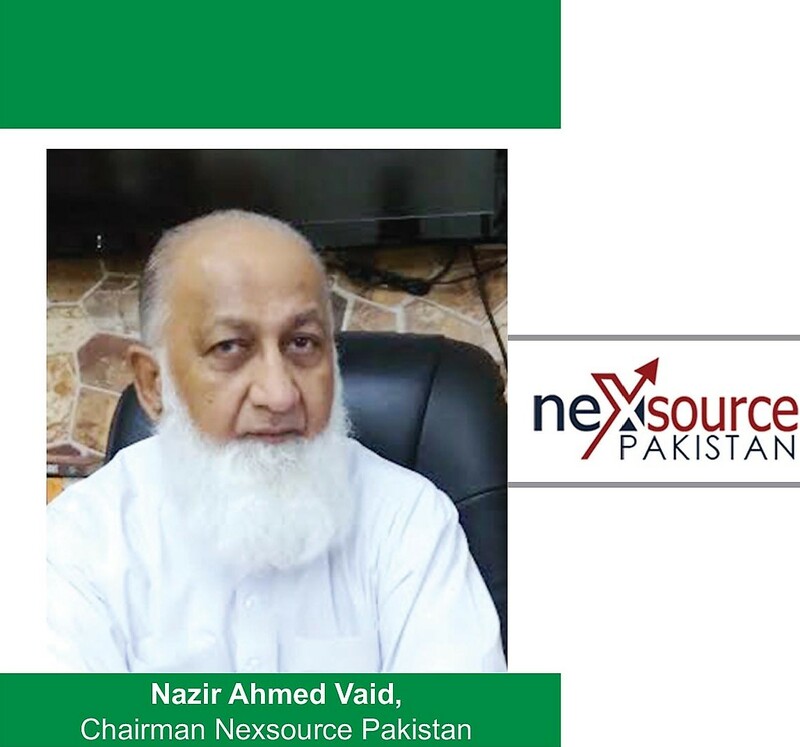 Nexsource’s main website features it as an expert in BPO and consultancy business, but Vaid says for the last one-and-a-half decade, they have been mainly focussing on the social enterprise aspect, which adheres to Islamic teachings and remains centric to its philosophy. “I have been inclined to religion even before we turned into a social enterprise. But, Maulana Abdus Sattar certainly influenced me during this time,” Vaid said responding to the question about what brought him close to religion and his business to Sharia — Maulana Abdus Sattar is the Imam and Khateeb of Baitussalam masjid. Vaid’s association with Baitussalam’s Imam has been quite long but the renowned Islamic scholar, Maulana Tariq Jameel also influenced him later on. “Our philosophy is sharing of wealth and resources,” Vaid said. “It all starts with faith [Aqida], trust in God for what you will get or earn and what is not for you,” he added. Explaining, the chairman said one has to believe that God has produced rizq [means of earnings] for everyone and poverty is because people refuse to share. However, Vaid’s target audience doesn’t remain limited to Muslims, all their programs are open to marginalised people from all faiths — Nexsource itself has a Hindu graphic designer and Christian sales staff. “Our Akhuwat program starts operations from mosques, temples and churches,” Vaid said. Adhering to one’s faith while doing business isn’t always a smooth sailing though. In fact, it may require compromises and Vaid’s case is no different. Vaid wanted to enter the business of government contracts but there was no way he could avoid interest because the structure of that business was designed around loans. He decided against it. He also has a real estate business and can get higher rent from banks for his commercial property but refrains from doing business with banks. “This means lower profit for us. So, you have to make compromises at times,” he said. However, Vaid believes there are many benefits of sticking to your faith. Giving an example, he said they import garlic and ginger based on how much cash they have at hand as opposed to taking interest-based loans. But some traders go for financing and end up flooding the market with excess supply, which often leads a fall in prices and loss for them, something he experienced first hand. And he continued with more examples. “If you can recall 2008 stock market crash, only those who borrowed huge amounts from banks to invest in stock market became broke,” Vaid said. “Similarly, in 2010-2011 real estate crisis in Dubai, some billionaires who borrowed from banks and invested in real estate suffered massive losses after that bubble burst and prices came down,” he added. These big shots defaulted on their payments and even left Dubai after facing ban. Those who invested their own money or did Musharika (agreement of partnership) with someone were better off during that crisis because their losses werelabs distributed equally among all partners, he said. According to Vaid, there is a downside of not going for a bank loan because it leads to financial limitations but on the flop side, the risk is reduced in case of a loss. Musharika (partnership) is they way to go, he says. Asked about his take on philanthropy as a substitute to taxes in a country like Pakistan where tax system is in tatters, Vaid said, “Since it is imposed, a good businessman takes taxes as cost.” The Nexsource chief says one can save money through bribe or manipulation of financials but there will always be some tension attached to it. “You do everything for peace of mind, so why opt for a stressful route. We include taxes in our cost and pass it on to our clients,” he said — his company contributes Rs200 million in annual taxes to the national exchequer. Having made many compromises because of his decision to run a Sharia-compliant business, Javed Iqbal has no regrets. 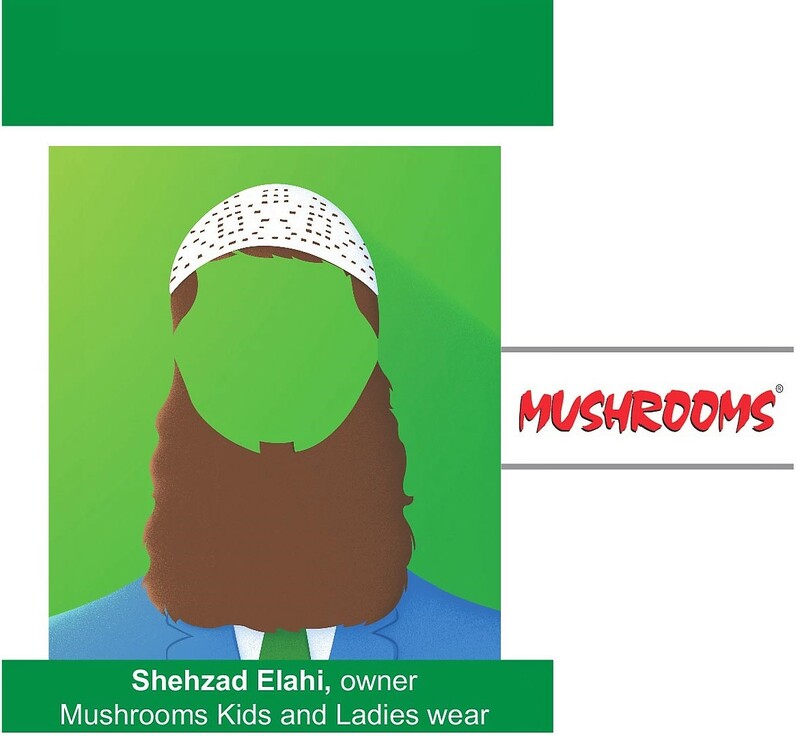 Javed Iqbal Siddiqui, Stylo Shoe’s Director, New Businesses, and Footwear Manufacturer Association Chairman, has no regrets over the compromises he has had to make while converting his business practices by bringing them in line with Sharia. Stylo has its roots in an outlet opened in 1974 by Javed’s father Azhar Hussain Siddiqui; it was called Bano Chappal. 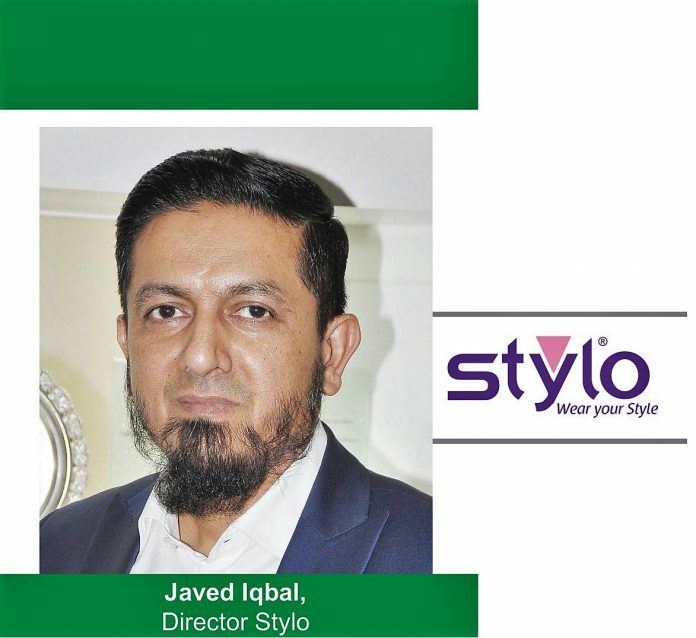 The first Stylo shop was established a few years later which Javed started managing soon after. Trapped into a legal wrangle with the landlord, the family eventually had to bring the shutters down on Bano Chappal. That’s when Stylo emerged as the primary family business for Javed. The vetting of business processes in light of religious teachings and running a Sharia-compliant business happened much later, in the late 2000s. Javed says, this devotion to religion was not part of the business from the beginning. Rather it was a gradual shift towards religious practices that led to this change. He says, his association and environment at the time also encouraged this shift towards Sharia. “Allah gave us the opportunity to turn to His ways and we started realising the importance of religion and its commandments,” he said. “Furthermore, the people around us then were also religiously inclined so we began to realise that business should not only be a means to earn for this world but should also pave the way for hereafter too.” he added. Since then Stylo has taken on board Nafae, as Sharia compliance consultants, and Naafay has vetted every part of their business down to their contractual documents. This was followed by Time Lenders’ trainings to improve Sharia’s abidance in their business practices. Starting from their marketing strategy whereby no female models are allowed in company’s advertisements anymore, Stylo also revamped its contracts with suppliers, employees and other stakeholders – ridding them of any unfair treatment and financial penalty or burden. The company has also vowed to strictly stay away from any interest-based activity and is still running on one hundred percent equity without any bank or financial institution on board. Javed has two sisters, neither of whom are part of Stylo. He said that there is no compulsion for the women in his family to join the family business, rather it was their own decision and their personal life’s engagements that made them stay away from business. He says that he does not believe religion bars women from entering business or sharing in wealth. “All our children and family members, irrespective of their gender, are allowed to become part of the business. In fact, when my father died, we not only gave our sisters their due share in our father’s property, but we brothers also forfeited our own shares to be given to them.” explained Javed. The company’s HR policies regarding men and women also fall in line with Javed’s personal philosophy. There is no gender difference in the employees of the company, there is no restriction on employees on leaning towards religion and there is no enforcement of religious practices on the job. However, they are not unconcerned with the corporate culture of their company. The departments predominated with female workers are segregated and an unsaid but prevalent culture of the company also forbids them – though informally – of dressing up in an immodest manner. While the management of the company is very particular about prayer timings, and the employees are allowed to get up from their seats for prayers, however, there is no forced break or compulsion for anyone that he or she must follow in the footsteps of the management. Javed feels that his leadership role has not been impacted in any drastic way because of his changed approach towards his business. While he said that he now realises that business is a means for him to earn for this world and pave the way for the life hereafter, he believes that he has only been assisted by religion in his leadership role. Javed appears very accommodative about how other businesses work in the industry. He does not complain about anything in the industry practices but maintains that it is his ardent desire that interest based businesses come to an end wherever they are being practiced. Talking about the industry, he believes that being Sharia-compliant has provided him with some advantages. One change that his customers may appreciate even more is the changed return policy that Stylo offers on its shoes. “Our return policy now is very flexible. This came after we started inculcating religious values. Now we have a cash-back policy, while earlier it was only exchange.” Javed says that he has had to make loads of compromises because of his decision to run a Sharia-compliant business, but he does not regret making any one of them. He said that Allah has rewarded him for every decision he has to take keeping profits secondary while keeping commandments of Sharia first. 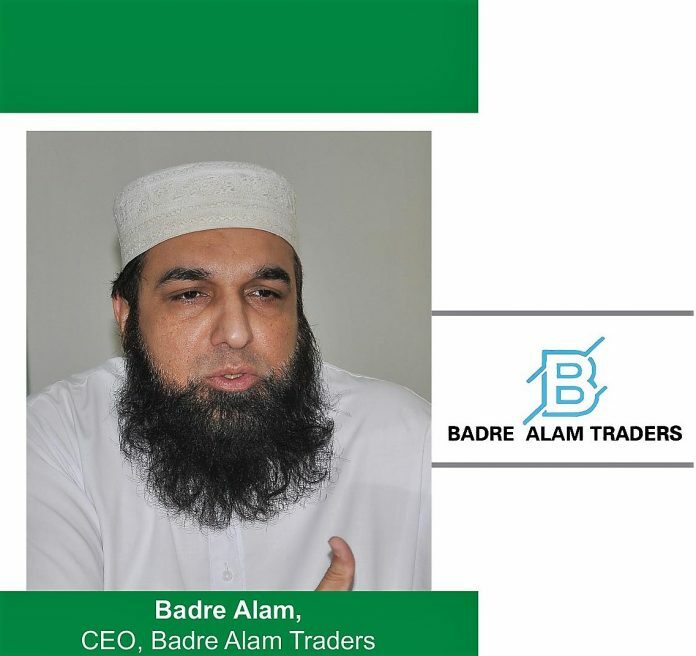 The owner and CEO of Badre Alam Traders believes that it is daunting but rewarding to take a leap of faith and adopt Sharia. For him this change came after he had been operating in the chemical and machinery industry for 18 years. It has been a little over two years that he got his business audited by the Sharia compliance standards and much to his shock he found that several chemicals and products he used to deal with were prohibited in Islam. Though he vowed to make the shift gradually, he needed a lot of motivation and perseverance towards becoming Sharia compliant. His personal life has also undergone a massive overhaul as a result of this shift in his business practices. “Ten years ago, I never gave a single rupee in Zakat, but having realised that it was compulsory, now I pay in millions.” He says, now he has strong faith that his property, wealth and life is in Allah’s protection because he is paying Zakat. He is rather offended by the concept that people consider Taxes and Zakat/alms to be alternatives. He expresses gratitude while saying that his business has been posting positive growth while the entire industry he operates in is going down. Though he is not very optimistic about Pakistan’s industry prospering in the wake of China-Pakistan Economic Corridor, he is satisfied that him and his business are going in the right direction. The export and the overall growth of the leather industry, where I work, is down by 40 percent, and it is in decline for the last five years. However, our parameters as a company are improving. We have had 10 percent annual growth in recent years because we are using different parameters, through which we are not only safer but are also getting returns for this world and the life hereafter. About the HR policies in his company, he said that he ensures to follow the Sharia principles by the book. While there is no room for financial penalties in the religion, according to him there is no edict making monetary compensations necessary even if an employee has not been able to deliver his designated work. On a regular basis, Badre Alam holds trainings for his employees to educate them in ways of Sharia as prescribed by Nafae and Time Lenders – the organisations he has on-board to audit his business and keep the practices in line with Sharia. However, there are no extra religious education classes or trainings on company time. The chief executive is not worried about the social and industry backlash that results from following religious codes. Although he confesses that almost all government departments are riddled with corruption and even some private sector parties are bent on bribery and favours. However, he does not seem angry with those involved in such unlawful practices. “It is not about corruption or backlash, because a person who is indulging in wrongdoings is not aware or is not willing to accept that he is involved in unlawful means. The people who are involved in such ways got there because of one reason or the other and now they don’t have a way out. We test quality and without our report, those companies cannot export anything worth a penny. So, we have a pivotal position and our edge is being Sharia compliant. 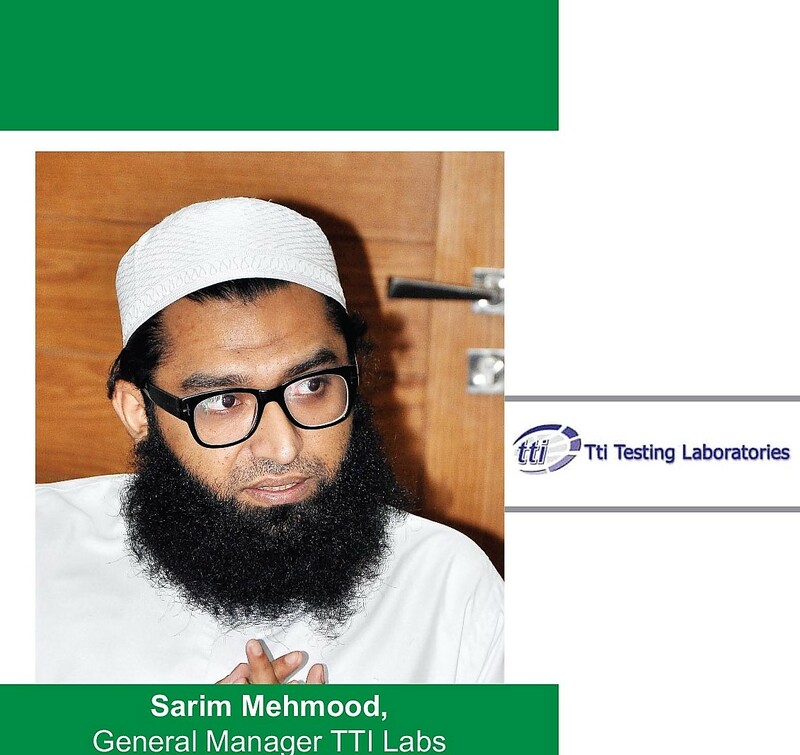 According to him the foundation of the TTI Labs is rooted in pleasing Allah. He said, the CEO Hamid Latif founded the company with a big vision of supporting the industry through a business model similar to the model of the beloved companions of the Prophet Muhammad (PBUH). In the late 80’s, the main focus of the industries around the world was on generating high volumes with better margins. The Industry and the end consumers, lacked awareness on product quality, consumer safety and environmental protection. The early 90’s brought an era of a massive global awareness on product quality and consumer safety. The global buyers started to introduce testing protocols and various multi-stage inspection requirements which resulted in a chaos for the unprepared suppliers and production houses, leading to technical trade barriers, stringent market access requirements, growing production losses and product recalls. TTI came into inception in 1995 to provide quality assurance solutions for supporting the buyers and suppliers in bridging the gap between manufacturing and compliance. Now it is a globally recognized, ISO/IEC 17025 Accredited testing facility, and ISO /IEC 17020 accredited Inspection body having the honor of being the first lab approved by the US Consumer Product Safety Commission for consumer safety testing in Pakistan. TTI also has a global presence in 17 different countries with 22 state of the art laboratories around the world through its global strategic affiliation with Modern Testing Services having more than 2000 Employees. Back then Hamid was working for a company that often faced compliance issues when they produced for multinational companies, such as quality not being up to the mark and products not fit for export but given the green signal by people who were gratified to issue letters and certificates. “One of his consignments got in trouble due to shrinkage in garments and he couldn’t find a lab in Pakistan which could test and tell what went wrong. That’s when he realized that he needed a company that could do this pivotal testing for the industry. So he launched this small company with a twin-room office but the vision behind it was huge. He doesn’t waste a second before attributing this entire success to only one factor – Sharia compliance. “Since the basic vision was to ‘Do things right’, Sharia compliance helped in promoting TTI and communicating with potential clients… They come here and are impressed with the discipline and commitment… We’re working with all sorts of fancy brands, from H&M to Nike, and being a Pakistani company it is a big thing. “The beauty of sharia is that it is one step ahead of the law. And Sharia is gaining in popularity for non-Muslims around the world too. “For instance, Halal certification is becoming popular to non-Muslims, owing to it being more hygienic. It is not anymore about Muslims anymore, its market is growing. The company also has ISO 17025 certification, mandatory for global companies in this sector – extremely useful when potential clients were being sought. The company allows all sorts of people to work and do business with, not enforcing its beliefs on them. “Time Lenders [Sharia compliance monitoring and guiding organisation] have provided us and our employees HR trainings, including visions, time management and sleep management etc. “They have also trained our wives in that, so we incorporate Sharia into our business and into our personal lives.” While the company strictly abides by Sharia and literally follows the religious edicts, but as a policy it is not enforced on employees to change their ways and mindset. “There are non-Muslim employees in the company as well, who are required to uphold the moral principles as corporate culture but there is no restriction of religious values when it comes to hiring of employees,” says Sarim. He is convinced that Sharia compliance has not only strengthened TTI’s business appeal to clients but has also impacted its inner structure in a positive way. “The ownership that employees take to their work itself makes a lot of difference. We had a training by Time Lenders here in which they taught the concept of ehsan– perfection. That eliminated half the problems from our midst. The message was: ‘When you are a good Muslim, you don’t have the option of being a bad employee, a bad boss, or a bad worker.’ It made everyone in the company far more committed than before. Mufti Saab also did a training on Ehed (commitment), and as a result two of our employees came to us, holding forth that they have realised that delay at their end delays a shipment”. Mufti Sahib, (TTI’s onsite Shariah Advisor), Sarim says, keeps him in check too. “If I make anyone stay back after work, he makes me compensate them. Sharia means sharing, not only taking. Sharia has been instrumental in keeping our workforce happy and strong”. 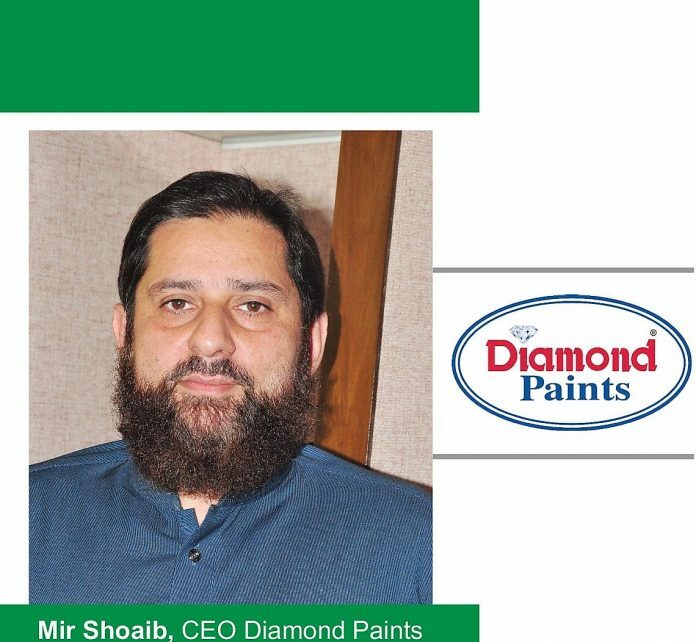 Diamond Paints CEO Mir Shoaib introduces himself as a staunch follower of the Ubudiyah Business Model. He has gotten and is getting all aspects of his business operations vetted by the experts of UBM – and keeps on incorporating the proposed changes. The industry he operates in, however, has certain practices that according to him clash with his faith and principles, forcing him to comply to stay in business. The ‘tokens’ in paint buckets is a decades-old practice that all paint companies say they are compelled to use to sell their products. Shoaib said, “We were compelled to be similar because every multinational – despite stringent controls and international ethics – has adopted this practice. In a competitive market, you have to adopt such practices if you are to survive”. He is grateful to the Securities and Exchange Commission of Pakistan (SECP) to have made mentioning the token amount in buckets mandatory. “And may Allah bless SECP people who made us write the token amount on the cap. The positive thing is that Competition Commission took notice of this, and called us there. They said that it is supposedly a deceptive marketing practice, and if it is disclosed on the can and the shade card the amount of token included, it would eliminate the element of deception.” Shoaib said while explaining SECP’s decision. Paint is not the only business Mir Shoaib is in, he also runs a car dealership. While claiming that Diamond Paints is the top paint company in the country, he is also the number one Suzuki dealer in Pakistan. He is very particular about keeping that business in line with moral and religious principles as well. Though he sets non-negotiable targets for his employees, such as number of plugs and quantity of brake oil sold, he is equally stringent about not using unethical means to meet those targets. “I have instructed my workers not be dishonest, such as changing somebody’s car or bike’s functional parts just to fulfill targets. Even if there is a huge pot of milk, a single drop of urine makes it impure, so haram is not the right thing. Allah is giving us halal, so there is no reason whatsoever to go the wrong way.” explained Shoaib. “So according to the UBM it all comes down to doing it with the right intent. For instance, one should realize that one is not here to make money, but how one is supposed to make this business a means to one’s salvation for the hereafter. And to benefit mankind is the key.” he said explaining the crux of the UBM design. There is also a profit-sharing model for workers in Diamond Paints. “We also announced that we will share five percent of our profits with our employees. Last year by the grace of God, we made 40 crores in profit, we paid tax on it too, and shared it with our workers. We introduced Workers Welfare formula through which everyone getting under Rs18,000 got Rs53,000 a piece and those earning above it got Rs32,000, except directors and GMs. “The formula aims to give a higher share to those employees who earn less and vice versa.” said Shoaib about sharing profits. “We also give two bonuses a year. We have free lunch for our employees. Once a week we also bring a goat and serve mutton. It is all on the company; I eat the same food.” he added. In addition to the direct profit sharing, there is also a foundation supported by Mir Shoaib’s business.Ten percent of Diamond’s total profit, which is from Suzuki and paint businesses combined, goes to the endowment. Amer Allaudin Foundation is named after Shoaib’s late father. It specialises in Hepatitis C, Diabetes and Hypertension, with professor doctors tending to the patients. The foundation has also received a Philanthropy award after Bahria Town from President Mamnoon Hussain. It’s a new award introduced by SECP, who discovered the data through banking channels. “I didn’t believe it at first, and told my son to check if it was not a money-making exercise, like the Chambers where you pay Rs500,000 and get the award from the prime minister.” he said. While he is convinced it is his responsibility to provide an environment for the religious and personal betterment of his people, he does not burden himself with how his workers respond. Mir Shoaib also tries to put forward his beliefs and the message of UBM for his fellows, colleagues and customers whenever he gets an opportunity. “For customers, whenever there is such a gathering, I hold a presentation on UBM. The idea is to be good to employees and honest to customers. For traders it is said that their Judgement (Hashr) will be done with prophets, just think what a big deal it is. Even a rehri wala is a trader, and if he only sells strawberries honestly, even he can get there.” explained Shoaib. To Mir Shoaib, it is important to keep reminding people of the importance and necessity of religious values and their usefulness in everyday life. However, he considers it too big a responsibility to take investors’ money in his business. He just expanded his production capacity with a new factory but without having any bank on board or inviting any investors. “The biggest issue for me with an IPO is that once someone buys your shares, he becomes the owner of the company by that much percent. So if I end up misappropriating a little, because you need to do it even if you don’t want to, I would be accountable to others then. Otherwise, for me an IPO is very easy, all our books are straight, and even two multinationals have approached us but I said no. I say that thanks to the Almighty, we are doing well, and making money, what do we need more for. For now it’s my money; I can burn it if I want. But if I have shareholders then it’s their money too and mistakes can be made anytime; I don’t want to be accountable to so many people. He elaborated, “A hadith says that for someone’s few paisas you are supposed to give 700 accepted prayers in return. We don’t even know how many of our prayers are approved anyway. This is the trick behind success. Make Allah your partner and be happy. People do businesses and jobs, so all they need to do is to correct their intent. That’s why I am doing this because I don’t want to ask someone else, and if I have extra then I’ll give it for Allah’s sake. He also shared how particular he is about making payments to his suppliers on time. In his own words, “A few days ago, Mufti Sahib was saying that delaying payments is a sin, unless you inform and apologise in advance. There are times when the market does not respond similarly so I said to the purchasing guy to start apologising in advance”, he said in jest. The company is so particular about Sharia-complaint that an in-house Mufti has been engaged so that each and every practice follows Islam’s edicts. Having spent around a decade in Pakistan Stock Exchange (then Karachi Stock Exchange), Kamran Khalili, CEO Al Shaheer Corporation, wrapped up his company Fortune Securities Limited, in 2006, on the back of ethical issues that he deemed contradictory to his beliefs. 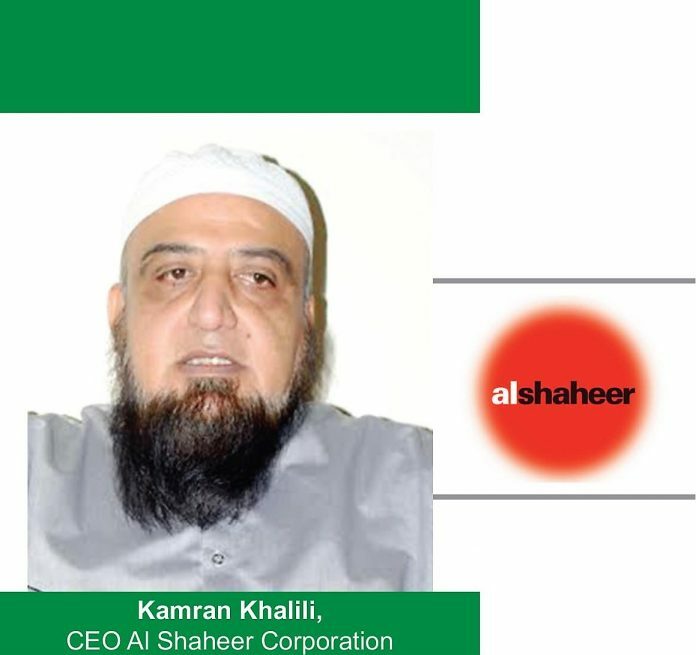 Soon after, in 2008 Khalili set up his Shariah-compliant company Al Shaheer Corporation to export meat to Middle East – which till date remains his largest export destination. The business expanded in no time, with inclusion of local retail chains Meat One and Khas Meat – and the company got publicly listed in 2015, after nearly seven years in business. By the time it went public, the company had an enviable annual growth rate of 30 to 40 per cent, which means it was more than doubling its turnover in less than three years! Khalili had started his career with banking in 1991, but now he strictly adheres to his interest-free business policy. Al Shaheer Corporation that runs Pakistan’s only branded meat retail chains Meat One and Khas Meat is a wholly Shariah-complaint company and Khalili is proud of that. Started in 2008, Al Shaheer has so far maintained zero interest in the financial matters of the company and for that Khalili and his team rely on the various Islamic Banking options available in the country. Khalili does admit that Islamic banking processes are lengthy and difficult for a newcomer to get accustomed to. But he does believe in interest-free banking system, which was made to provide an alternate to the normal banking practices, not in consonance with Islamic precepts. Despite the growth of the company and inclusion of people from multiple ethnic backgrounds, Khalili maintained the practice of following Shariah intact. So particular is the company about being Shariah-compliant that an in-house Mufti to look over all the contracts and policies of the company has been engaged so that each and every practice is in accordance with Islam’s edicts. From borrowing to implementing a dress code (covered head with modest dress for female employees) Al Shaheer in Khalili’s words tries to do ‘nothing against the rulings of Allah’. cent on its local sales. In addition to complying with Shariah in financial matters, this being the guiding light is widely seen in other departments of the company as well. Both the marketing and HR departments follow practices that stay in line with Shariah and rulings of the religion. A case in point is Meat One and Khas Meat’s advertising campaign in which female models and music is strictly prohibited. Similarly, the HR department’s policies are also in accordance with Islamic rulings and no financial penalties – for leave, late attendance, etc. – are imposed. When Khalili is asked for an advice for young entrepreneurs who wish to incorporate their faith in this business policy, he says. “Those whose belief is strong do not care about challenges. If I believe that I am a Muslim and Allah has fixed my rizq and that he would provide for me, then nothing else matters. If you do not have musical ads or deal in interest, there’s nothing to be scared of [about your business suffering because of it],” he concludes. Post-script: Due to scheduling problems and other such reasons, most businessmen profiled for this story would seem to be those of, broadly speaking, the same sect within Islam. That outcome was completely unintentional. Previous articleNo better time than now, to move back! Interestingly Shehzad is a graduate from Lums. We have worked with him. What does religion say when you dont pay on time? Rather than bs about kids over 8 not wearing a pant and a shirt!? I’ve also know TTI and working with them since ages. Ask me how Shariah complaint they are. On the same batch of products they carry the same test twice once they fail it and tell you to improve it for the 2nd test you pay again and they pass it. TTI testing is not accepted by international brands now. I’ve got proofs Masooma. Get back to me and write another article how beards are made by fooling people or how beards take advantage of a stereotyped nation. I myself have paid him several times to get fake reports. My blood is literally boiling. Amazing article! Thanks to Masooma to narrate story of such unsung heroes. Few lapses (if any) in late payments or TTI testing should not overshadow the initiatives Shehzad has introduced in his business. Bravo Shehzad!!! Also not sure what kind of crack mufti sahab was smoking when he said kids over 13 cant wear pants and shirts. That Eid ad so clearly illustrates the mental illness of these people. While I don’t agree with everything each of them does, I respect their intentions. At least they have the courage to stand up against the existing system. I especially don’t agree with segregation, and no photographs. But a business owner has the right to run the business the way they want. Let’s give them their freedom to do that. If we have problems with that, e.g. segregation, don’t join their business as an employee. That’s it. Stop being so afraid and scared of the beards. Dying with debt is a one-way ticket to hell. Every single one of these companies has burned their creditors, especially Mr. Meat and Mr. Paints. Not sure what version of selective Islam they are following.